Effective collaboration requires a special kind of emotional intelligence, or “collaborative intelligence” (CQ), but differences in organisational culture can encourage or inhibit its expression, writes John Butcher from the Institute of Public Policy at Curtin University. “Collaboration” has become the buzzword du jour in social policy. It is now widely accepted that no sector – public or not for profit – acting alone has the capacity or capability to solve complex problems in public policy. Government in particular recognises the potential value of multi-sector solutions. Indeed, the head of the Victorian Premier’s department, Chris Eccles, says that over the coming decade the public sector needs to be increasingly focused on outcomes, less siloed and portfolio-driven, and more reliant on collaboration, co-operation and co-design. The difficulty is that for a variety of reasons, a settled model of collaborative practice has proved elusive, especially for Australia’s public sector. Collaboration evokes the potential to harness a wider array of resources, knowledge and human capital and apply them to the resolution of so-called “wicked” problems. But shining examples of collaborative practice can be hard to find. For starters, collaboration is complex and resource-intensive. It also requires generous lead times, patience and a supportive authorising environment. In the social policy space the values and behaviours that underpin collaboration might even be argued to be incompatible with the emphasis on competition that still lies at the heart of the marketisation of service delivery. It is small wonder, therefore, that many attempts at collaboration never get off the ground. 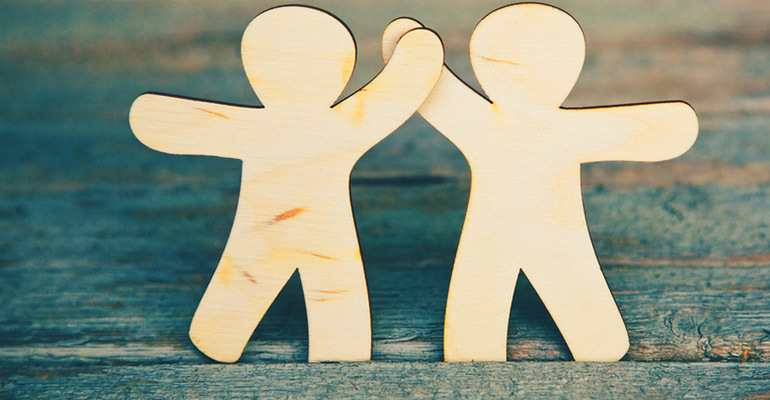 Recognising the need to raise collaborative capability in the public sector the Australia and New Zealand School of Government (ANZSOG) and the John Curtin Institute of Public Policy at Curtin University agreed to co-invest in a study, the aim of which is to identify the components of good collaborative practice. The study is looking at five cases that offer evidence of collaborative practice across different policy domains ranging from emergency management to children at risk. Each of the cases, to differing degrees, involve the public sector, communities and not-for-profit organisations working together to address complex social or public health problems. formal terms of reference are useful as starting points, but might unduly fetter collaboration in practice. Collaboration often has an organic quality and goalposts will change. After all collaboration occurs in circumstances of complexity and uncertainty, at least in social policy spaces, and a capacity for adaptability is essential. This is not the sum total of indications arising from our research – additional findings will undoubtedly arise – but they do offer some tantalising signposts for Australian policy practitioners. It must be said that collaboration ought not be regarded as a panacea or as an end in its own right. Indeed, as observed by John Bryson and his colleagues at The Hubert H. Humphrey School of Public Affairs at the University of Minnesota, “collaboration is not an easy answer to hard problems but a hard answer to hard problems”. Finally, effective collaboration requires a special kind of emotional intelligence – let’s call it “collaborative intelligence” or CQ. CQ encompasses a number of personal attributes, such as knowing when to take charge and when to let others lead; a willingness to listen and respond nimbly to changed circumstances or new information; a capacity for empathy and the ability to see things from other people’s point of view; a deep appreciation of systems and how they intersect and interact; and the ability to forge enduring relationships based on trust. Although many people working in the public and community sectors exhibit a capacity for high CQ, differences in organisational culture can encourage or inhibit its expression. In the community sector, whose authorising environment is shaped by fidelity to mission and values, CQ can flourish. In much of the public sector, however, whose authorising environment is often shaped by fidelity to protocol and process, CQ can struggle to find expression. The challenge for Australia’s public sector – if it is to achieve Chris Eccles’ vision – is to ensure that its workforce, core values, operating culture and authorising environment support and reinforce CQ. A collaboration culture and mindset cannot be instilled without it. Funding for the research study Working Across Sector Boundaries for Public Purposes is provided by the ANZSOG and the John Curtin Institute of Public Policy. The Principal Investigator for the project is Professor John Phillimore, Curtin University. Co-investigators are Dr John R Butcher, Curtin University, and Professor David J Gilchrist, University of Western Australia. Professor John Wanna, Australian National University, is an associate investigator for the project. Butcher is co-editor, with Gilchrist, of The Three Sector Solution: Delivering Public Policy in Collaboration with Not-for-profits and Business, published by the ANU Press (2016). 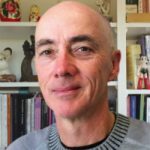 About the author: Dr John Butcher is ANZSOG adjunct research fellow at the Institute of Public Policy at Curtin University. His work focuses on gaining practical insights into the working relationships between government entities and non-state actors, principally in the not-for-profit sector. Good article which confirms much of my own experience. But ‘one cannot underestimate the time, effort and emotional energy required to manage internal and external relationships’? Surely it should be ‘cannot overestimate’? Touché! I accept your point. It should have been ‘cannot overestimate’ or ‘ought not underestimate’, either of which more clearly express the point.